Every member of the CURE staff is whole-heartedly devoted to our mission. Each person understands the gravity of our work – children are literally depending on our success. However, for some CURE staff, the fight against childhood cancer is intensely personal. Seven have been in that unimaginable place – seated across from a doctor completely unprepared to hear those awful words: “Your child has cancer.” Each journey was unique, yet these seven emerged from their experiences changed – and forever committed to fight the disease that tormented, and in two cases, took their children. The ability to understand and offer support as only one who has been there can do is a common theme. A sense of urgency was also forged by the bedside. The experience left many with a pressing need to make a difference for other children and families. We are often asked if our experience makes our job hard. There’s something special about the CURE staff, no doubt. We won’t stop fighting until every child is guaranteed a cure… after all, it’s personal. By day, Kevin Kennedy works as a vice president with Morgan Stanley in the Institutional Securities Group. But if you have the chance to speak to him, he likely won’t want to discuss market information, strategic thinking, or challenges with listed derivatives trading technology. No, Kevin will tell you about his family, share pictures from his latest motorcycle adventure, or bring you up to speed with his other passion – helping children with cancer. 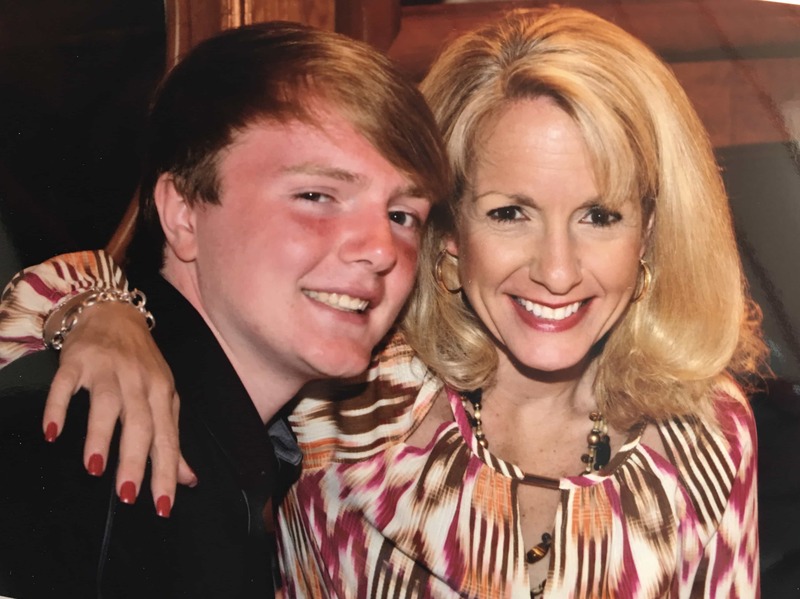 Kevin and his wife, Margaret Ann, had a first-hand experience with cancer when their eighteen-year-old son, Joe, was diagnosed with aplastic anemia, a rare bone marrow failure disease. Joe enrolled in a clinical trial at the National Institute of Health in Bethesda, Maryland. While the trial was not successful for everyone, it worked to send Joe into remission. Once in remission, Joe was abruptly released from the hospital. Weak from the treatment, Joe was unable to fly commercially or drive back to Atlanta. Kevin shared their dilemma on Caringbridge, and within an hour he had five offers to transport his family by private jet. 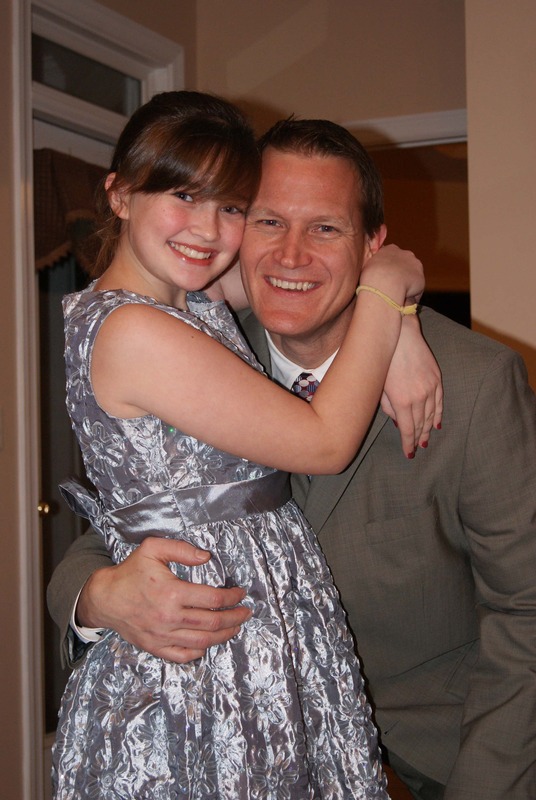 Upon arriving home, Kevin and his daughter attended CURE’s A Tribute to our Quiet Heroes luncheon in September 2007. Touched by what he saw there and the people he met, the Kennedys began fundraising and regularly attending CURE events. From the outside, Kevin felt that the organization was sound and well-managed. The more his family’s involvement increased, the more respect he developed for CURE. So five years later when he received a call from a CURE board member to discuss Kevin’s interest in serving on the board of directors, he jumped at the opportunity. Because he had first-hand knowledge of the needs of patients and their families, Kevin immediately dove into CURE’s patient and family services programs. He also became an active part of the organization’s fundraising efforts and took a leadership role with the board governance committee. Later he served as board president for two years. As he looks to the future, Kevin sees elevating the CURE message above other well-deserving charities and donor retention as two of the biggest challenges. He also views millennials and other non-conventional givers as a huge opportunity. We will miss you too, Kevin. With the close of CURE Childhood Cancer’s fiscal year on June 30, 2016, we are eager to share with you the incredible difference you made over the past 12 months for children with cancer and their families. With your help, we raised more than $5.2 million to advance our mission! This year, CURE awarded nearly $2.7 million in grants to support research initiatives all with the goal of improving survival for those battling childhood cancer. We are focused on moving the needle ever closer to a cure for all children with cancer and advancing immunotherapies and other treatments which are safer and less toxic for children. Our grants funded 20 pediatric cancer research labs at top institutions around the country. Supporting patients and their families is paramount to us, and you enabled us to do this well. In total, our busy patient and family services team – with the help of dedicated volunteers – served dinner to 2720 and lunch to more than 6000 hospitalized patients, parents, siblings, nurses and survivors. They delivered 638 brown bag lunches to parents of hospitalized children in Atlanta and Savannah, more than 1060 snack bags to patients and families in Atlanta, Savannah, Augusta and Macon and 342 toiletry bags. More than 300 families received CURE totes at diagnosis full of practical items and tips from other families who have walked the childhood cancer journey. We assisted 229 families with emergency financial assistance grants totaling $114,747, and provided $20,000 in transportation assistance to 44 families. We distributed an additional $14,395 in gas, grocery and pharmacy cards. CURE recognizes the incredible psychological and emotional hardships of childhood cancer and offers families the opportunity to receive professional counseling. In the last year, we provided 56 counseling sessions. We also hosted more than 100 parents at bereavement weekends. 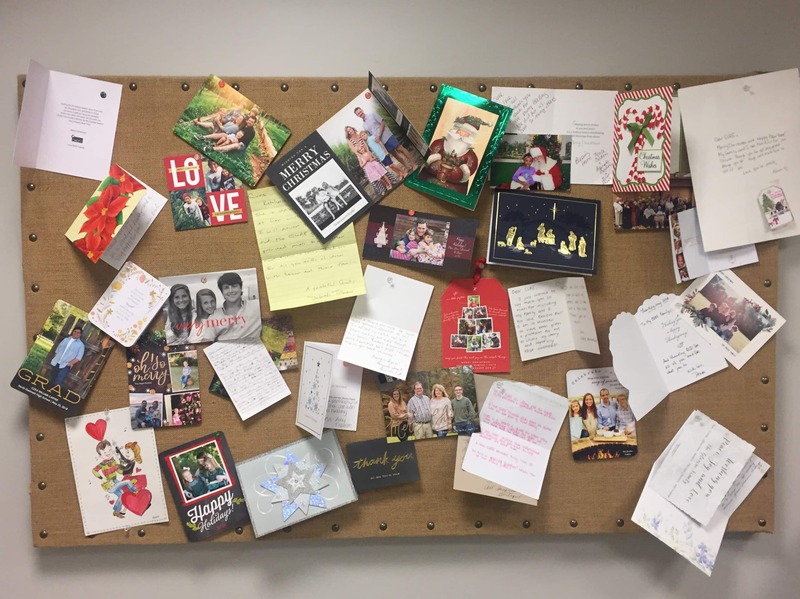 We also hosted fantastic holiday parties in both Atlanta and Savannah and provided holiday assistance to 76 families, ensuring their holidays were special. And so much more – all because of you! We could not do what we do without the help of each and every one of you. YOU are CURE and we are so grateful. At the heart of CURE Childhood Cancer is the desire to address the critical and urgent needs of families affected by childhood cancer. CURE recognizes that childhood cancer is an extremely difficult, traumatic diagnosis, in which treatment and outcomes put strain and stress on the entire family. 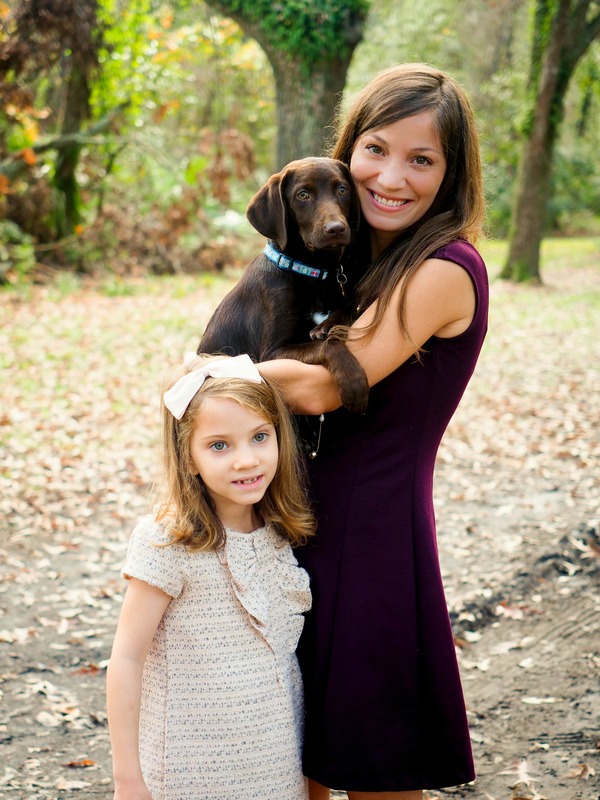 To offer additional support, help and encouragement for families of children diagnosed with cancer, we connected with licensed counseling centers across the state of Georgia and launched CURE’s Partners in Caring (PIC) program in 2013. The PIC program was designed to provide families’ access to professional counselors who understand how childhood cancer, and its experiences, can affect the psychological and emotional well-being of the entire family. Since the launch of the PIC program we have continually strived to break down barriers associated with accessing counseling services. 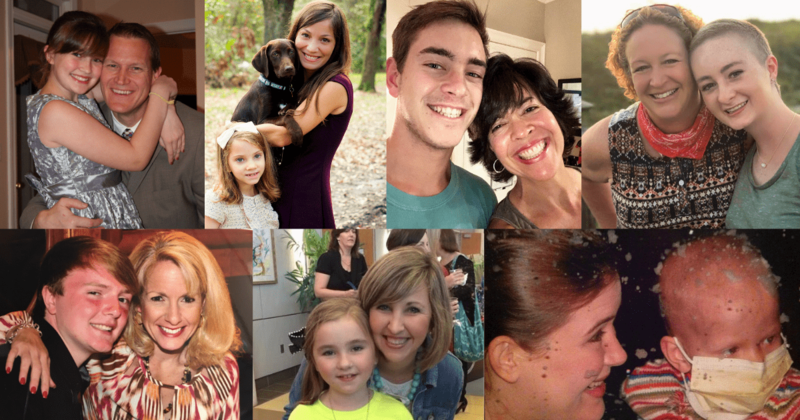 Our PIC network includes 24 centers and over 50 therapists across the state of Georgia! If you choose to utilize these counseling services, CURE will pay 100% of the first session. After the first session, families are responsible for $25.00 copay for each additional session (sessions 2-10). Counseling sessions may range from individual counseling for the patient, siblings and/or parent to marriage counseling, grief counseling, or any combination of these services. You also have the option to divide the 10 sessions between multiple family members based on your family’s needs. To sign up or learn more, contact Karen McCarthy at karen@curechildhoodcancer.org. CURE Executive Director Kristin Connor Named Atlanta Magazine’s “Women Making a Mark” Honoree. Each year Atlanta Magazine recognizes “Women Making a Mark,” placing a spotlight on women from our community who exhibit tireless dedication, strong leadership and impassioned goodwill. We’re thrilled to announce CURE Executive Director, Kristin Connor, was just named one of this year’s Women Making a Mark honorees. Please enjoy a transcription of the article, which is available on-stands now. 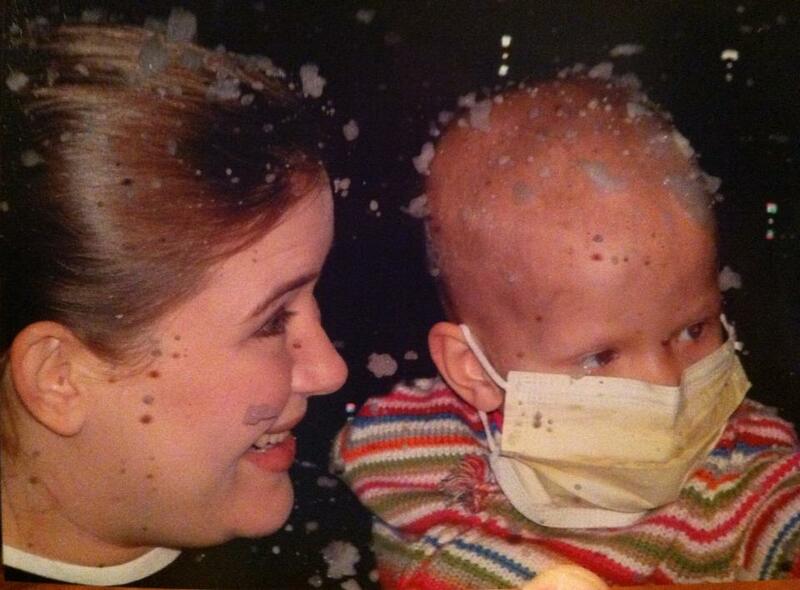 “Kristin Connor didn’t know an unborn child could get cancer. The successful business litigator was thirty-three weeks pregnant in 2001 when an ultrasound revealed a mass on her son’s tiny spine. Brandon was diagnosed with neuroblastoma at one month old. At age two, he was set to undergo a complex surgery to remove the tumor. But the day before the operation, a last-minute MRI showed nothing short of a miracle. The tumor has simply disappeared. She started pressing the American Cancer Society for more funding for pediatric cancers (the vast majority of national cancer research dollars go to adult forms). A mutual friend arranged a meeting with Tom Glassine’s wife, Chris; the Hall of Fame pitcher tapped Major League Baseball to raise $2 million for the cause. That feat earned Connor a job with CureSearch, a national childhood cancer nonprofit. A year and a half later, Atlanta’s CURE Childhood Cancer contacted her about its top post. The Chick-fil-A Peach Bowl Challenge has announced the official pairings for its 10th annual charity golf tournament. A 13-team field of NCAA head coaches and celebrity alumni will compete for a first-place prize of $100,000, split evenly between their University’s scholarship fund and the coach’s charity of choice. We are thrilled to announce that University of Georgia Head Coach Kirby Smart has selected CURE Childhood Cancer as his charitable recipient! Even greater news – all participating teams will receive a portion of the $540,000 total purse, which means CURE will receive a minimum donation of $10,000. Competing teams will play a two-man scramble format over 18 holes using confirmed handicap adjustments. Schools will be paired for a shotgun start on the first nine holes and then re-paired, based on scores, and the round will continue with consecutive tee times for the second nine holes. Highlighted by four Dodd Trophy-winning coaches, five College Football Hall of Famers and three Heisman Trophy winners, click here to view all of the participating coaches. We’re thrilled to partner with Coach Kirby Smart, and are grateful for his dedication to our fight against childhood cancer. For the past few years, iHeartMedia Atlanta has shown amazing support for CURE Childhood Cancer, and our families. This Spring is no exception! With the 22nd Annual Lauren’s Run just around the corner, Jason Pullman and Kristen Gates from 94.9 The Bull invited childhood cancer patient Robert, and his mother Kasie, into the studio to come on-air and share their story of Robert’s battle with cancer. Below, listen to clips from Robert’s segment and check out some photos from the fun day. 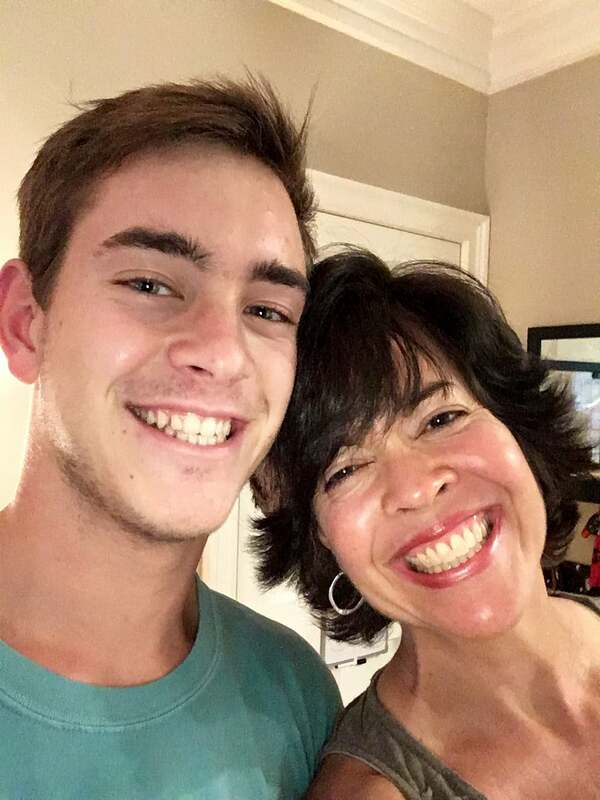 Mention the name, Judy Rubel, to just about anyone who knows her and chances are their response will be, “She won’t take ‘No’ for an answer!” Judy admits that’s true, but her feisty resolve has brought a wealth of help to CURE Childhood Cancer. Judy entered the world of pediatric cancer when her granddaughter, Hannah, was diagnosed with neuroblastoma ten and a half years ago. Hannah checked into Children’s Healthcare of Atlanta at Scottish Rite. Judy has never forgotten that visit from CURE and has dedicated a major portion of her life to helping CURE and our mission to end childhood cancer. 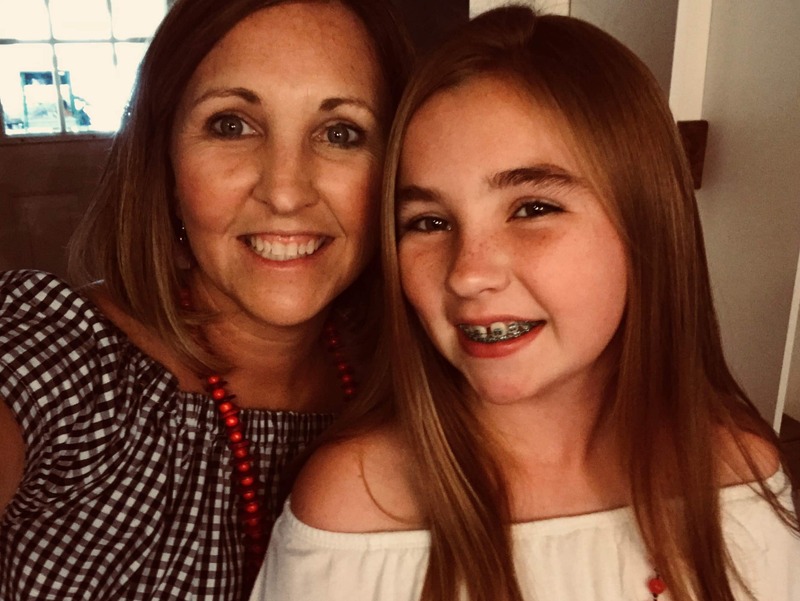 Hannah has relapsed and is still undergoing treatment in Georgia, but Judy, who lives in Gadsden, Alabama, has spread the word about CURE in her hometown. Judy is constantly thinking up new ways to help. Earlier this year, she approached the manager of her local Winn Dixie store about asking customers for donations. Every Winn Dixie in the district participated, and the grocery store chain presented a check to CURE for $24,000. In September, during Childhood Cancer Awareness month, Judy tied a gold ribbon on every tree in downtown Gadsden, and reportedly put a donation container in every store downtown and every branch of The Exchange Bank of Alabama. 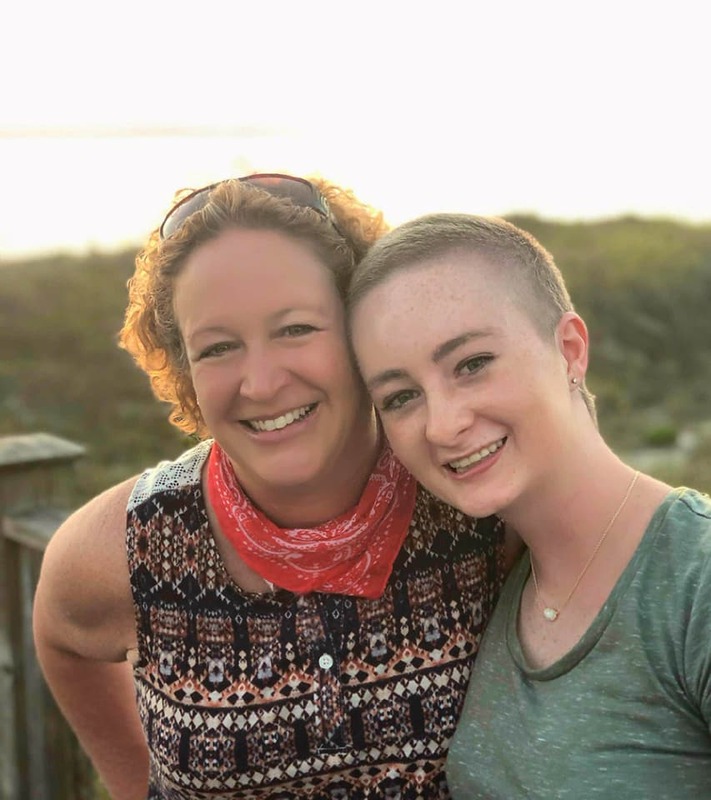 CURE Advisory Board member, Ginger Kindred, met Judy when her son, Trenton, was diagnosed with cancer—the same day, the same diagnosis of neuroblastoma as Judy’s granddaughter, Hannah. The two women bonded and are still good friends. “Judy calls me to check in on a regular basis and the call always includes ‘Do you need anything for the families?’ The most beautiful part of that question is that I know she really means it,” said Lisa. As Hannah continues to battle cancer, Judy continues her efforts to raise money for research to save children’s lives. “We have to speak for our kids,” Judy said. When she thinks of the pain that cancer causes, Judy said she doesn’t cry, she gets mad and works. On October 17, 2015 CURE Childhood Cancer hosted a workshop for parents of children with cancer entitled “Parenting Through Illness.” Workshops like the one recently offered are extensions of CURE’s Partners in Caring program, which aims to address the psychosocial needs of families navigating the world of childhood cancer. This particular workshop focused on approaches to parenting a child with cancer during cancer treatment. To close the workshop, parents were asked to write themselves an encouraging note on a postcard which will be mailed at a later date. Parents wrote words of encouragement to keep going, encouragement of a job well done, encouragement to see themselves and their efforts as enough. For information about future workshops or about CURE’s Partners in Caring counseling program, please contact Karen McCarthy at karen@curechildhoodcancer.org.